The student workbook has introductory vocabulary pages, story pages to read and colour, flashcards for vocabulary review, and exercise pages to put that new knowledge into practice. You can print the entire student workbook at once and put it in a binder, or just print off the pages as you need them. The teacher key is much the same as the student workbook with some important differences. As expected, it has the answers filled in to save you time. The teacher key also contains flashcards (towards the back of the book) that can be printed both sides so that you can use picture flashcards to review French vocabulary. In addition, your teacher key pages are marked with a special symbol to indicate where to listen to the audio files. The audio files need to be unzipped. Files can be unzipped by clicking “Extract all” in the file manager for Windows users, or by simply double-clicking in your Mac. The 06 in the file name indicates that this is the audio for page 6 in the workbook. Use the names of the files to find the file you need for each lesson. As you go through the program, be sure to review the story regularly, if not daily. Just reading the story together is another great way to review. The stories help your students to understand the structures and flow of the language. You can also review by going through the vocabulary flashcards that are provided at each level. You don’t need to do a workbook page every day, but it’s a good idea to do something, even just listening to the story or a quick review of the flashcards. 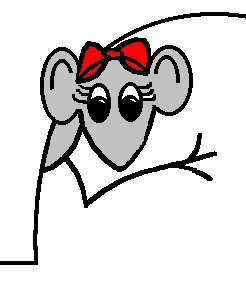 Have students colour story pages and other picture pages and draw their own pictures or make their own flashcards and posters. Adapt the curriculum to suit the time you have available by taking advantage of the different ways to learn and review that are built right into the curriculum. Having a busy day? Are you on the go? Bring the flashcards and review them. Listen to the story. Read the story. These are little things that you can review even when you don’t have time for a full lesson. 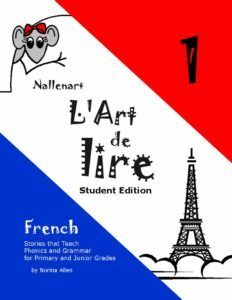 Nallenart makes it easy to include French in your homeschool! This entry was posted in 2-Lire > gr 3-8, Articles, Blog, Curriculum, Free Resources on October 28, 2015 by Norma Allen. Yes! You can teach French at home! Sometimes homeschooling parents can be a bit intimidated by the idea of teaching French at home. Teaching a second language is like teaching any other subject, though. You can get started even though you’re not an expert. You might just be pleasantly surprised to find yourself learning right alongside your children. When I was homeschooling, I took it for granted that I didn’t know everything. The children and I traveled together on our adventure in home education. While they were impressed that Mom knew a whole lot of stuff about a whole lot of stuff, my children didn’t ever expect me to know everything there was to know about any giving topic. What I didn’t know, we found out together. What a great lesson for my kids to see that there is no age limit to learning! Why should learning French as a second language be any different? With the right user-friendly curriculum, you can learn right along with your children as you progress though the material. Even though you might have little to no experience with French, you really can make French a part of your homeschool curriculum. L’Art de lire was designed originally for homeschooling parents, keeping in mind that not everyone has a strong background in the French language. It starts out very gently and gradually, building understanding and confidence as a strong foundation for success. This entry was posted in 2-Lire > gr 3-8, Articles, Blog, Free Resources and tagged confidence, French, homeschool, language, lire, second, teach on February 27, 2012 by Norma Allen. This entry was posted in 1-Dire > gr K-3, Curriculum and tagged classroom, curriculum, French, homeschool, l'art de dire, language, learn, lesson, Nallenart, plans, reproducible, teaching on April 7, 2011 by Norma Allen. Download your full L’Art de dire French Curriculum from this page. Links are only available for logged in members who have purchased the complete L’Art de dire Curriculum Package through the former French Curriculum Club. This entry was posted in 1-Dire > gr K-3, Curriculum, Download Links on April 7, 2011 by Norma Allen. This entry was posted in 3-Écrire > gr 9, Curriculum on April 6, 2011 by Norma Allen. Download your full L’Art de lire French Curriculum from this page. Links are only available for logged in members who have purchased the complete L’Art de lire Curriculum Package through the former French Curriculum Club links. Interested? Purchase L’Art de lire. This entry was posted in 2-Lire > gr 3-8, Curriculum, Download Links on April 6, 2011 by Norma Allen. L’Art de lire 1 is designed for beginning French students who are reading well in English. The grammar taught in this course corresponds to the Ontario, Canada expectations for Core French Curriculum for grade four (French as a second language). The program is suitable, however, for older beginners. Even students who have had some French can benefit from the material taught in this first level of L’Art de lire. Many students who have struggled with French in the classroom, or using other French programs for homeschooling, have found that the beginning levels of L’Art de lire have filled in the gaps and enabled them to understand and enjoy learning French. This entry was posted in 2-Lire > gr 3-8, Blog, Curriculum, Download Links, Level 1 on April 6, 2011 by Norma Allen. L’Art de lire 2 is designed to follow L’Art de lire 1. The grammar taught in this course corresponds to the Ontario, Canada expectations for Core French Curriculum for grade four (French as a second language). The Student Workbook features a French-English glossary, easy to understand explanations of new grammar concepts, and exercises. The mp3 Audio Files walk the student through the workbook, giving opportunity to hear and repeat all the vocabulary and sentences. The Teacher Edition is the student workbook and tests with answers filled in, making marking easy! The 2012 Teacher Edition includes printable Lapbook Pages, Tests, and Flashcards. This entry was posted in 2-Lire > gr 3-8, Curriculum, Download Links, Level 2 on April 5, 2011 by Norma Allen. L’Art de lire 3 is suitable for French students who have an introductory knowledge of conversational French, verb conjugation, and beginning phonics. The grammar taught in this course corresponds to the Ontario, Canada curriculum expectations for Core French for grade five and it is designed to follow L’Art de lire 2. The program is suitable, however, for older beginners. Even students who have had some French can benefit from the material taught in the early levels of L’Art de lire. This entry was posted in 2-Lire > gr 3-8, Curriculum, Level 3 on April 4, 2011 by Norma Allen.